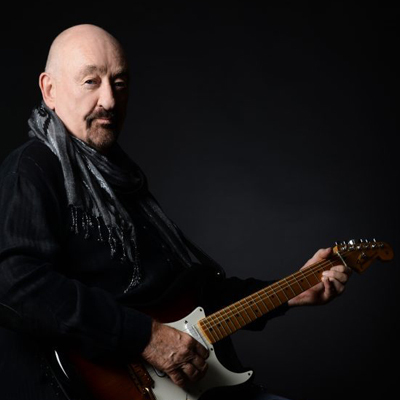 Dave Mason has loved playing guitar most of his life. He first picked one up when he was 15 and founded two bands: The Deep Feeling, and The Hellions. At age 18, the Worcester, England native teamed up with Steve Winwood, Jim Capaldi and Chris Wood to form the legendary band Traffic whose profound influence over rock music remains unquestioned even today. At 19, Mason penned the song “Feelin’ Alright”. First recorded by Traffic, this song has since become a rock and roll anthem and recorded by dozens of artists, including JoeCocker, who had a major hit with the song in 1969. Mason departed from the group after their second album. In 1969. he headed for the USA to pursue a solo career. A prolific artist, Mason has penned over 100 songs. He struck gold with the album “Alone Together”, which is considered a rock classic. This was followed by five albums for CBS/Sony including “Dave Mason” and “Mariposa De Oro”, four of which received gold albums. “Let It Flow”, which has gone well over platinum, contained the classic “We Just Disagree”, a top-ten single! In addition to performing to sold-out audiences, Mason performed on a number of albums such as The Rolling Stones’ “Beggars’s Banquet”, George Harrison’s “All Things Must Pass”, Paul McCartney’s “Listen To What The Man Said” and Jimi Hendrix’s “Electric Ladyland”. One of the songs from the “Ladyland” album, “All Along the Watchtower”, featured Dave playing acoustic guitar. This song, written by Bob Dylan, remains a big favorite in Dave’s live show! Jimi Hendrix “Electric Ladyland” All Along The Watchtower (acoustic guitar), “Cross Town Traffic” (vocals). David Crosby & Graham Nash, album of the same name. Dave Mason’s career spans nearly 50 years and has encompassed producing, performing and song writing, not to mention being one of rock’s great guitar players! He was inducted into the Rock and Roll Hall of Fame as a founding member of the group Traffic, and is considered an important figure in American music history. Fans and critics alike hail Mason as one of the most talented songwriters and guitarists in the world. When Dave is not touring you can find him writing and producing new music in his home studio, as well as tirelessly supporting philanthropic efforts for Rock Our Vets, a non-profit Dave co-founded.